The seed for these beans were sent to me by a grower in Washington State. I was surprised to find how well they did here in Indiana. 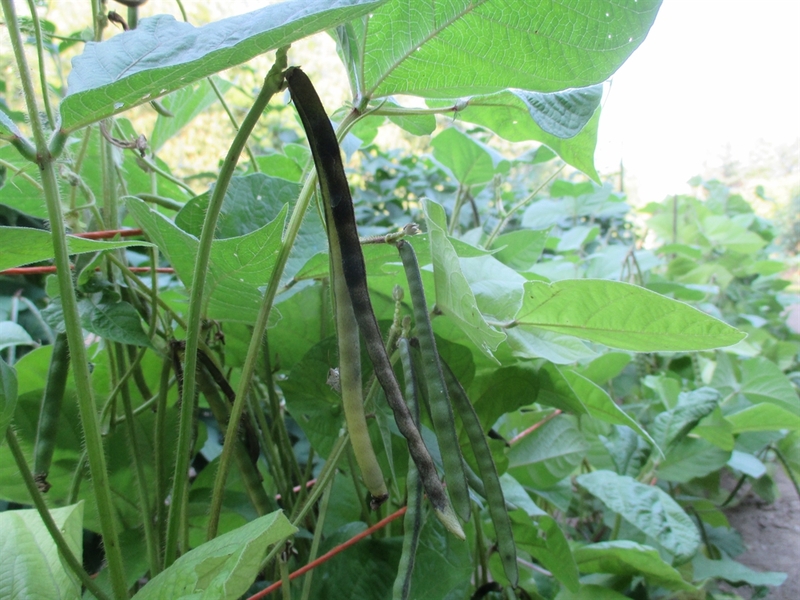 They were fairly early and continued to produce beans up until frost. I direct seeded into the garden at the end of May. I started weekly harvests on August 7th. Their growth habit reminds me of soybeans but with a weaker main stalk. They would probably do best planted in a bed in close proximity. 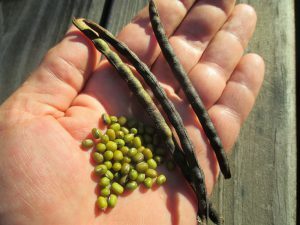 Like field peas, they would support each other. I planted mine in a single row with support to keep them from falling over into the dirt. One drawback to growing mung beans here in Northern Indiana is that there was an increase in moldy pods once the late summer rains hit. This would mean more time spent culling “bad” beans once threshed. 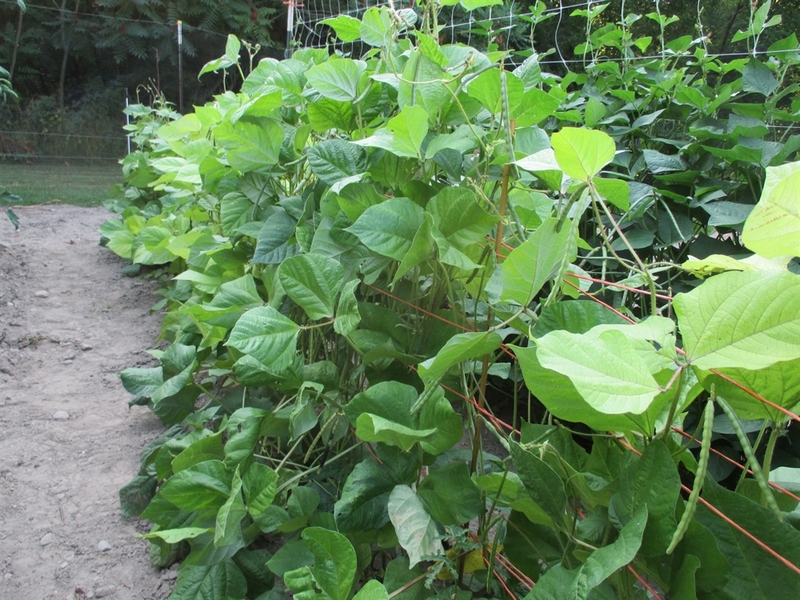 The dry beans I harvested in mid-summer were of good quality with minor issues with mold and blemishes.